Moreover, the design eliminates snow and ice build-up. It is heat and ozone resistant, and its silicone rubber continually reapplies an active silicone coating on the windshield, assuring streak-free, quiet operation. Make sure people notice you with these 115db lightweight and easy to install horns from PIAA. The slender horns are compact in size and super-light weight. PIAA Super Sporza Wipers are available in a flat black finish. The Super Sporza Wipers are available in lengths from 18” – 26”. PIAA Super Sporza Wipers are available in a flat black finish. The Super Sporza Wipers are available in lengths from 18” – 26”. Aerodynamic Spoiler Reduces Lift. PIAA Wiper SILICON TECH FLAT Blade 530mm / 21"
PIAA Super Sporza Wipers are available in a flat black finish. The Super Sporza Wipers are available in lengths from 18” – 26”. PIAA SUPER SPORZA SILCON WIPER. Aerodynamic Spoiler Reduces Lift. Standard bulb fittings for easy installation and up to 6 LEDs per bulb for High Intensity. H262, H263 have two LEDs in each bulb. Available as White/Blue or White Colours. Moreover- the design eliminates snow and ice build-up. It is heat and ozone resistant- and its silicone rubber continually reapplies an active silicone coating on the windshield- assuring streak-free- quiet operation.NEW PIAA. Brilliant Blue-White Light (rated at 4000K) provides superior performance. Up to 20% more light. Ideal for styling enthusiasts. All PIAA wipers are subjected to durability testing. WHY PIAA WIPERS?. The effect is similar to popular windshield coatings but without the hazy side effects. Water beads up into droplets at low speeds that are easily removed by ordinary wiping. 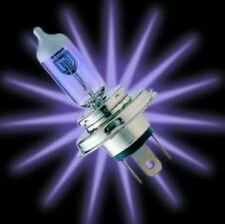 PIAA HYPER PLUS 4000K BULBS (Pair) HE832 H1 55W = 110W 12v . Condition is New. Dispatched with Royal Mail 2nd Class.